Why Buy From Us Tastiest Salmon Seafood | The WIld Salmon Co.
We are dedicated to the notion that we should all know where our food comes from; that it strengthens our community and our biosphere when we buy sustainable, locally-sourced food. As consumers we need to be educated about what we buy and what we eat and this is especially true when it comes to our choices in seafood. It is easy to buy seafood that has negative impacts on the ocean environment. Responsible seafood choices equal healthy oceans. 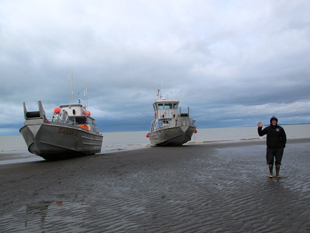 As fishermen, we strive to educate people about the sustainability of wild alaska seafood and especially wild salmon. 1. Because it's Pretty Darn Delicious! Whether you grill it, bake it , fry it, poach it or eat it raw--this will be the tastiest salmon you ever experienced! If it's not, I'll come cook it for ya because you probably did something wrong. Bristol Bay is one of the best managed fisheries in the world and it's home to the largest run of sockeye salmon on the planet. The fishery is biologically managed, not economically, so that decisions are made to insure the health of the species and the continued health of the fishery. 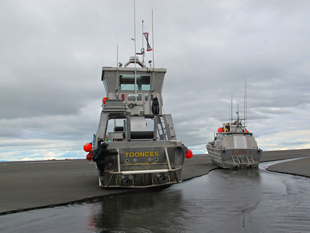 We can bore you with certifications, but you can't argue with this......In 2017 the Nushagak River had its largest return of salmon since 1893! Need we say more? Seafood is the most mislabeled food in the United States. Today, 90% of the seafood consumed in the U.S is imported, yet less than 1% is inspected for fraud. Oceana, a U.S. based company dedicated to protecting our world's oceans, conducted a massive study in 2016 and found that 33% of the 1200 samples from 672 retail outlets were mislabeled. Salmon was one of the most common species to be mislabeled. Read their summary report here. Unfortunately, we see farmed salmon sold as wild salmon all the time. Don't be a victim. Did you know that most farmed salmon is genetically modified? Farmed Salmon is the first GMO animal approved for consumption in the United States. Scottish, Faroe Island, Norwegian, and ocean raised salmon are all fancy marketing terms for farmed Atlantic salmon. 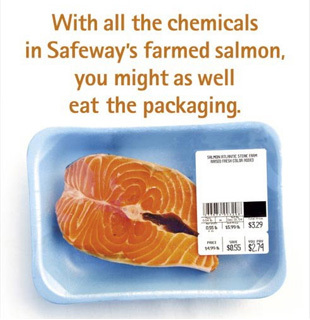 Not only can farmed salmon be GMO, it is also filled with toxic PCB's and colorant to turn their flesh orange. Our family has been fishing in Alaska since the 1970's. 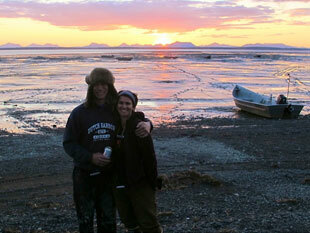 We are a small family owned and operated business dedicated to providing an outstanding wild alaskan seafood. When you buy from us there is no middle man. Our salmon come from a small fisherman owned co-op, where we as fisherman are personally invested in the quality of the salmon we catch.